Keep reading to take a look at these shades and find out my thoughts on their formula and performance. All of our Liipie Stix contain Vitamin E, Mango, Avocado & Shea Butter for added comfort & moisture - cuz we're cool like that. 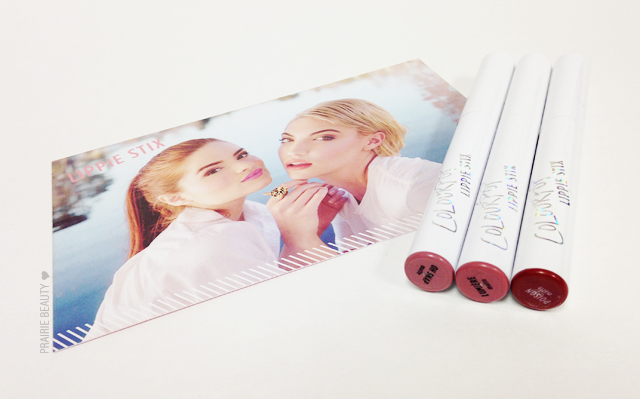 None of our lippie formulas contain any nasty ingredients like Parabens or Sulfates. Matte Finish - Full coverage, superrr long wearing, ultra-comfortable & seriously loaded with pigment in a matte finish. I figured this would be my favorite of the three, but it's actually my least favorite. I think that it's a pale skin problem, like with a lot lipsticks that have a combination of brown and pink it just pulls a little too brown on my fair skin. I think it might pull more pink on a slightly deeper, warmer skin tone. Unfortunately, I'm also not the hugest fan of the formula on this one. It's much more creamy than it is matte and I find it feels quite thin with a lot of slip and doesn't have the wear time that I was hoping for. 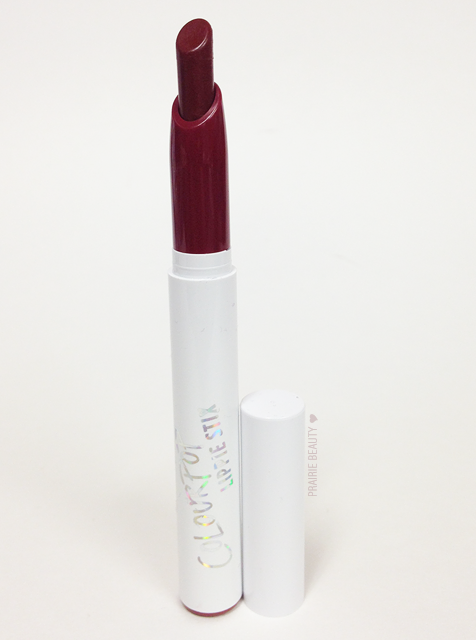 It's a pretty lipstick, but the next 2 are definitely head and shoulders above this one for me. 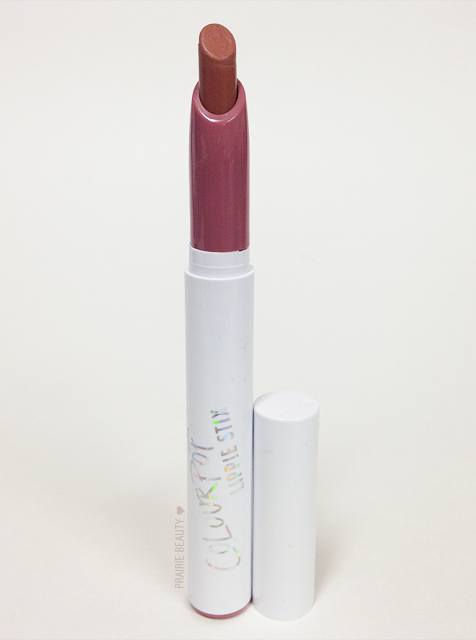 I'm actually a big fan of KathleenLights and anyone who reads this blog knows that I'm pretty much obsessed with mauve lips lately, so I had to grab this one. For me, this is the one I'm most likely to reach for. The shade is deeper mauve than I was expecting, but it's really wearable and flattering and I think I could probably pull it off all year long. The formula has some good hold to it, so I find it wears really well for a good, long time. I would actually call this more of a satin finish than a true matte, because while it doesn't look creamy or glossy it does have a sheen to the finish. I would say that for just about anyone wanting to dip their toe into LippieStix, this would be an easy choice. I wasn't sure how I was going to feel about this one... And then I applied it. FAVORITE. Honestly, I think my expectations were completely flipped on their head with these products, because this one rose to the top after the very first time I wore it. It's a deep, warm red that is absolutely heavenly for fall and would literally look good on ANYONE. The formula is amazing. AMAZING. I applied this at 7am, wore it through coffee until I ate lunch at 12:30, reapplied and wore it until I got home and took my makeup off at 5. No touch ups or anything. On me, that's pretty much a miracle. This is also definitely the most matte of the three, but it still manages to not be a really powdery or drying matte. GREAT lippie. There's a couple of things that I want to speak to. First, none of these are quite as matte as I was expecting them to be, but Poison and Lumiere are nearly there. Oh Snap! feels 100% like a créme finish to me. This isn't a deal breaker, but it also isn't what I was expecting. Still, I do like the finish. Now onto the smell... I'd heard such good things about the scent of these lippies and I have to say... Not entirely impressed. They have a nice smell on the surface, but there's a sharp chemical scent in the background to all of them that I really can't get down with. It's like they were covering the chemical scent with a cake/bakedsomething scent and they just didn't quite get there. This might not even be something that everyone would notice, but I felt like it bore mentioning. 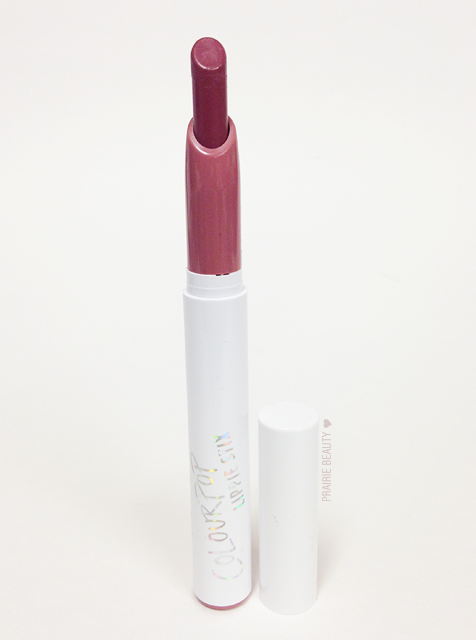 Overall, I really do like the Colourpop Lippie Stix and I have a feeling that I'll be ordering more in the future, likely sticking to the deeper shades since I feel like I prefer the formula more and more the deeper the shade is. At $5USD, I think these are pretty much a steal (even with the crappy CAD exchange rate at the moment, I still feel like these are worth every penny.) The shades I plan on picking up? Bichette & LBB for sure... and probably a few others. So, would I recommend these? Indeed!